Have you ever thought about 'tweaking' your vintage portables? No, I´m not talking about replacing parts by soldering new, supposedly improved ones onto the mainboard. I´m talking about improving things already there without changing anything. 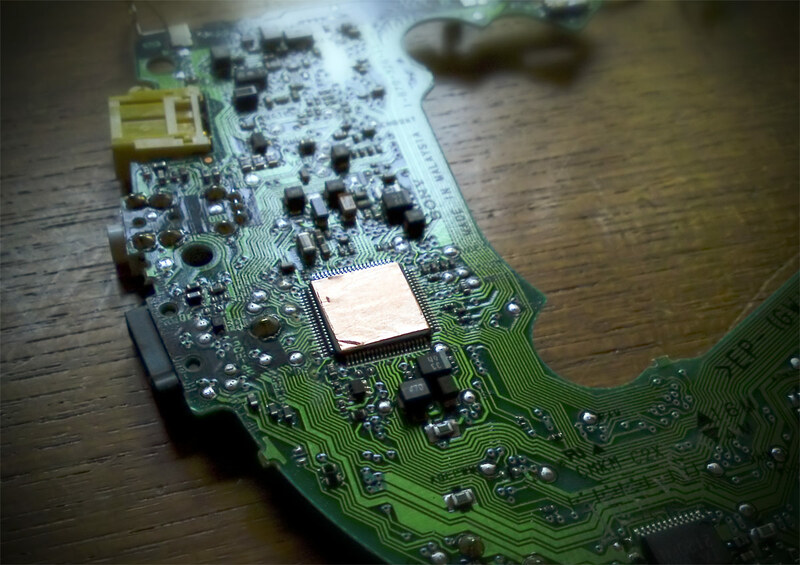 Now you might wonder what will be ahead while it´s actually quite simple: I´m writing about shielding, to be precise, shielding of electronic parts like ICs. Almost equally idiotic as soldering better (or more expensive) parts onto the mainboard I wanted to try this for a very long time. 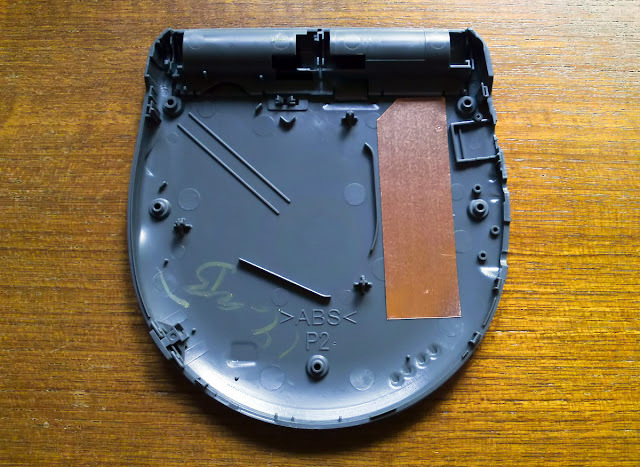 Some high-end manufacturers like Marantz have been using shielding inside their more expensive players for quite some time and others have shielded the whole body of their players with copper. I´ve tried to search for information about shielding achieved with copper but I couldn´t find any. 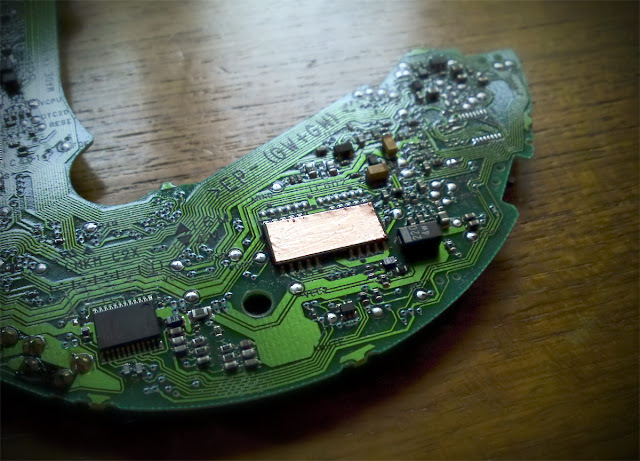 I´ve found plenty of advice on how to change electronic parts with soldering though. But I´ve already said that I perceive this to be stupid, I don´t want to destroy one of my players. The engineers of these little beautys knew what they were doing and so I´m going to trust them. Furthermore, a more expensive part doesn´t necessarily make the sound better as you can read on NwAvGuy's blog. Just so you know what these chips are responsible for: IC401 is the players' control chip, IC351 is the headphone amplifier, IC602 is the players 4MB of RAM and IC601 is its D/A-converter which is a CXD-3028R. 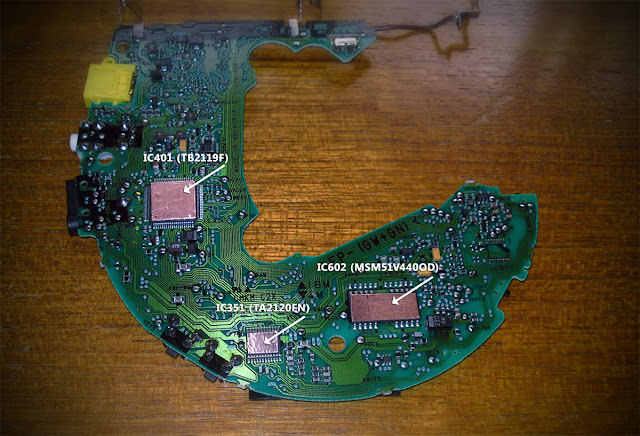 This chip is manufactured by Sony (it´s still available) and also reveals several functions of the player. It´s an 8x oversampling pulse width modulating converter with a maximum bit-depth of 20 bit, with a built-in memory controller (-> IC602) and built in servo block. 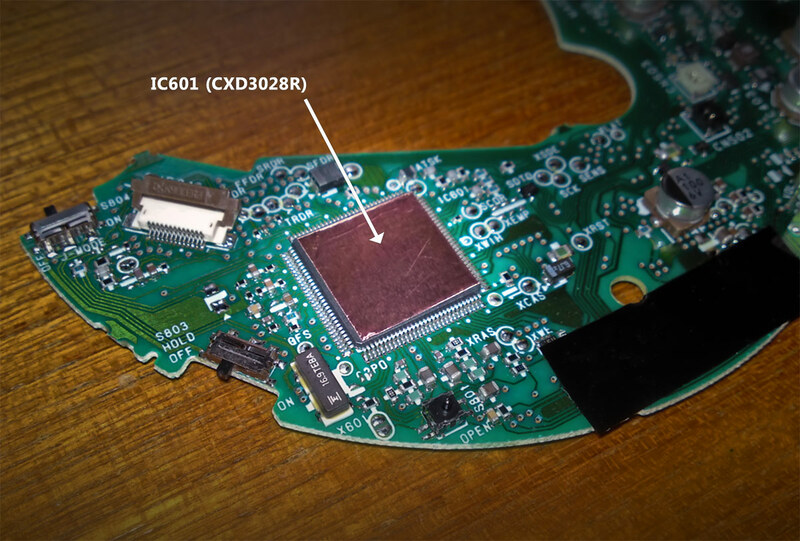 From the information about the chip I know that it reads discs with 4x speed, performs the error correction, jitter rejection, the mega bass function, digital deemphasis etc. As I said above it also has a built-in RF-amp which I suspect to be responsible for the line-out on the European model. While I don´t know exactly which one of the chips was responsible for the players' improved sound after the shielding I strongly suspect it´s this one. Yes, you´ve read that right, the player sounds better and also measures slightly better after shielding. Note the IM distortions: they have dropped significantly while all other measurments are the same as before. Soundwise the amount of control is still very apparent, but after I shielded the chips the stage improved considerably, instead of being wide and flat it now is almost on par with the reference, showing the stage with more depth and spaciousness. The dynamics have improved too: now attack, transients and decay are finally present, immediate and powerful. Resolution and crispness are back and it finally is able to present the sonic colour of the recording convincingly, the 'grey' sound I´ve talked has almost disappeared (the reference is still superior). But there´s one thing that still bothers me: the lack of bass. With the now crisper treble it becomes crystal clear that this player is relatively bass light, it´s now an example of an analytical player combined with almost perfect balance. Don´t get me wrong, I very much prefer this to the boring sound it had before but some people will not like it. There´s also something else: while the shielding indeed improved something it´s apparent only when the player is connected to the external power supply; on batteries it sounds as grey as before. I don´t know the reasons for this, maybe using more power (batteries: 3 Volt, power supply: 4.5 Volt) causes the parts to emit more radiation which in turn could affect neighbouring parts stronger if the shielding wasn´t present. But wait, there´s more. I´ve told you about the soft rubber dampers of the Sony D-335 which are holding its drive in place... wait, I actually have to reach out a bit further. Before I decided on shielding I tried to tweak the sound of the D-EJ 725 by hardening its rubber dampers. For that I used the small dampers from the D-EJ 100 and added them to the original dampers which hardened the suspension of the drive considerably. But to no avail, the sound turned wider but also flatter. I reversed the addition and then got the idea of shielding with copper. I still had these spare rubber suspensions lying around and so I tried to improve the dampening of the D-335. Guess what, the same stage widening effect that happened with the D-EJ 725 also happened with the D-335, surprisingly without reducing the depth with the result that the virtual stage now sounds huge without loosing cohesion. I´ve subsequently used another trio of rubber suspensions on my Sony D-220 and that reduced the strange centered stage I´ve described in my initial review. You mustn´t do this yourself, you can think of me what you will. Yes, regarding my little hobby I´m definitely a nerdy geek like countless others playing WoW or going to Star Trek Conventions. But if a hobby gives one pleasure, why should I not bathe in it? I´m also aware that my descriptions of the sonic characteristics of these players must sound gigantic to you. Trust me, they aren´t. I´ve told this many times before: the differences between modern CD players are small if they aren´t an example of a sounded player (the D-335 being such a player). So in case you´re willing to try one of these things for yourself don´t be disappointed. Give yourself some time instead and please do comment on your experiences, I´d be very interested in reading them.